It’s not uncommon to be overwhelmed at all the hardships that come with running a successful manufacturing organization. From changes in what your consumers need, to an unpredictable economy, to new competitors influencing your market, there are several factors that may require your attention. While you may want to focus on continually improving your operations, that can be an overwhelming task when you are faced with a difficult workload. Hiring experienced consultants who are specialists in their field can go a long way in taking some of that stress off your shoulders. In this post, we’ll put the spotlight on manufacturing consultants and how their expertise can greatly benefit your organization. Sometimes, problem-solving can become a headache — especially when there are several areas that need to be optimized. Rather than pulling your hair out trying to juggle a hefty to-do list, consider hiring a consultant to assist you. Depending on your situation at hand, a consultant can provide a helpful, objective perspective. When you get caught up in the stress of your workload, you may tend to overlook solutions that may be right under your nose. Plus, it’s difficult to take an honest look at your organization when you’re in the thick of it every day. An experienced consultant takes the time to offer his or her unbiased advice to guide you in the right direction. Remember, consultants don’t simply do the work for you, but rather, they use their experience to offer your organization new types of solutions that may have worked for their past clients. 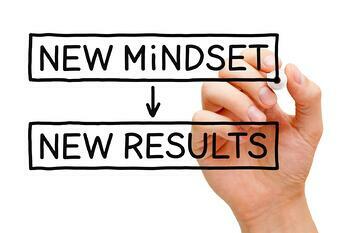 Their fresh ideas should include objective feedback that not only analyzes your current operations, but also puts your organization in the creative mindset to think of non-traditional solutions to traditional problems for the future. 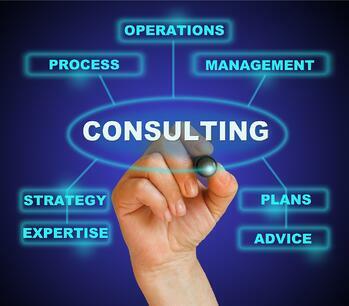 Consultants specialize in offering improvement strategies for businesses in several industries. When you find a consultant who has experience in assisting manufacturing organizations, you now have a resource that not only understands your issues, but also has a track record of improving upon them. When not on the clock, they’re likely researching innovative improvement methods and developing new strategies to enhance areas like sales, employee performance, human resources, marketing and more. If you’re a new organization, consultants can become a huge benefit. As they have likely worked with more experienced manufacturers, they can steer you in the right direction to avoid common pitfalls. Beyond exposing you to new ways to improve your operations, consultants truly thrive when they’re able to improve your numbers statistically. And this is their main focus. Anyone can offer a piece of advice, but an experienced consultant offers expertise with the intent to show you how to deliver top-notch results. For instance, let’s say your organization is in need of a better sales strategy. Your consultant will outline strategies with a structured timeline so you can see the improvements on paper. Taking into account your goals, customers, products and several other factors, your consultant will be able to devise a plan to improve your sales by a certain percentage within a given time period. The point of hiring a consultant is to not only improve, but to also sustain improvement for years to come. Since your consultant may have worked with other organizations from new start-ups to experienced industry staples, their expertise should guide you in the direction of long-lasting success. Once your contract with the consultant is over, you should have learned how to improve upon your existing operations and not just what needs to be altered. Sustainability is of the utmost importance for growing companies and is one of the key factors in establishing trust with your clients and prospects. For more information on what to look for when hiring a consultant, be sure to contact one of our representatives today!